Forfeiture • Salt Lake County D.A. will review what his office seized in dismissed distribution cases; DEA silent. 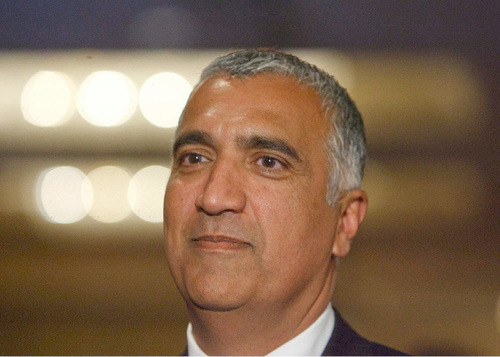 Trent Nelson | Tribune file photo Salt Lake County District Attorney Sim Gill has filed to dismiss 19 criminal cases because of unspecified problems related to the West Valley City detective who investigated them. 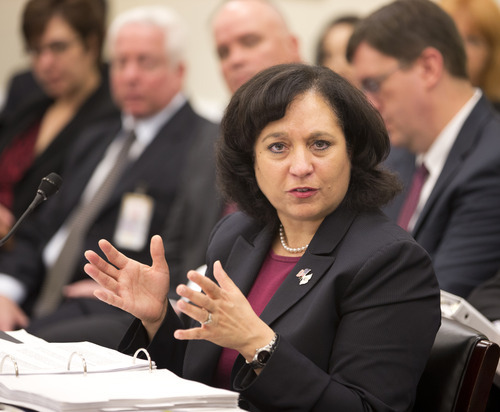 Drug Enforcement Administration (DEA) Administrator Michelle Leonhart testifies on Capitol Hill in Washington, Friday, April 12, 2013, before the House Commerce, Justice Science and Related Agencies subcommittee hearing on the DEA's fiscal 2014 budget request. (AP Photo/Manuel Balce Ceneta) Steve Griffin | The Salt Lake Tribune Acting police chief, Anita Schwemmer, announces that West Valley City Police Department is requesting an independent investigation by the Federal Bureau of Investigation during a press conference at police headquarters in West Valley City, Utah Wednesday April 3, 2013. The investigation will look into corruption within the department's narcotics unit and a possible cover-up involving the Danielle Willard officer involved shooting. 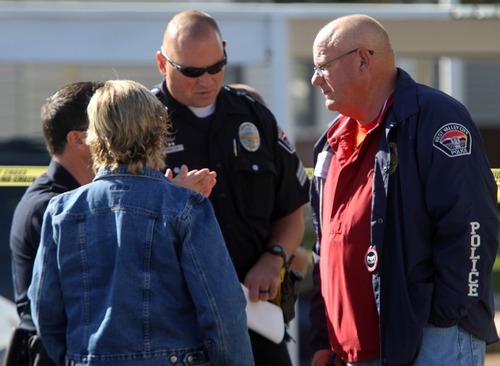 Rick Egan | The Salt Lake Tribune West Valley Police Chief Thayle "Buzz" Nielsen talks to officers at the scene of a fatal shooting at the Lexington Park apartments in West Valley City, after a fatal shooting at the complex, Friday, November 2, 2012. In June, West Valley City police arrested James R. Wilkes and accused him of having 13.5 grams of methamphetamine taped to the frame of his Chevy pickup. As it prosecuted Wilkes, the Salt Lake County District Attorney&apos;s Office used forfeiture proceedings to try to take his truck, plus $18,172.73 in cash and a Harley-Davidson motorcycle. Then this month, the drug distribution charge against Wilkes was dismissed, along with at least 26 other state and federal prosecutions tainted by questionable evidence handling at the West Valley City Police Department. But Utah authorities are under no obligation to return any of the property already forfeited through civil proceedings, said David B. Smith, a Virginia-based attorney who chairs the forfeiture committees of the National Association of Criminal Defense Lawyers. "It&apos;s too late, essentially," he said. "Which is an interesting commentary on the D.A.&apos;s forfeiture cases. They&apos;re basically taking money and property from people who can&apos;t afford to contest the forfeiture, so they&apos;re pretty much at the mercy of the police department and D.A. "[But] that doesn&apos;t mean the government can&apos;t give them their property back," Smith said. "If they wanted to, they could probably arrange for the people to be compensated. They could agree to pay the person back the value of the car out of this forfeiture fund." Salt Lake County District Attorney Sim Gill pledged that his office will comb through his office&apos;s West Valley City forfeiture cases to determine whether any of the former defendants are entitled to have property returned. "We&apos;re certainly looking at it to do the right thing," Gill said. "I want to do what is right, but we&apos;re also going to follow the parameters of the law." He said seized drugs would not be returned. The district attorney&apos;s office scored victory-after-victory, gaining forfeiture judgments for more than $16,000 in cash and other property in just seven forfeiture cases  most of those involving indigent defendants who were minorities. In all, the West Valley City narcotics unit initially seized more than $58,700 in cash; a Dodge Stratus; the 2003 Chevrolet S-10 pickup; the Harley-Davidson; a Chevy Trailblazer; and two jet skies in cases involving the 19 defendants whose cases were dismissed by in Marchby Gill because of purported credibility issues with an officer. The West Valley City narcotics unit is under investigation by the FBI for the fatal shooting of a 21-year-old Danielle Willard by Detective Shaun Cowley and his colleague Kevin Salmon and allegations of criminal conduct by Cowley and others in the narcotics squad. The Drug Enforcement Administration did not return calls seeking comment on what it plans to do with $24,870 taken from Maximo Ceballos in an administrative forfeiture filed by its Washington, D.C., office. The money was seized by West Valley City police and given to the DEA during a search of Ceballos&apos; home in his now-dismissed drug case. 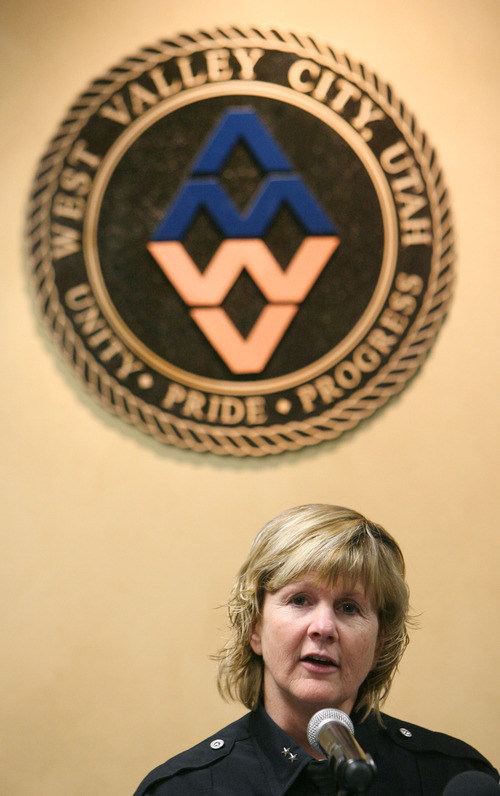 West Valley City leaders referred comment on forfeiture matters to Gill. On Monday, the state dropped its claim to property belonging to Antonio Avila and Yadira Lima. Charges against Avila were also tossed. West Valley City police were told by prosecutors to return $36,003.21, a 2002 Chevy Trailblazer and two jet skis, according to court records. Gill said any money or legal property not already forfeited would likely be returned to the respective defendants. Court papers show that the Salt Lake County D.A.&apos;s Office generally receives 20 percent of the value of forfeited property. West Valley City received costs incurred for obtaining and maintaining the property. The remaining funds went to the Criminal Forfeiture Restricted Account that is administered by the state Commission on Criminal and Juvenile Justice. Smith said in many cases, defendants who have property seized don&apos;t have the money to fight to get it back, or it&apos;s not worth the expense. Forfeiture defendants are not entitled to an attorney in civil proceedings like they are in criminal court, he said. "What this really illustrates is even if the government has a weak or nonexistent case, most people don&apos;t have the money to fight it," Smith said. "And it&apos;s very difficult to do it yourself." Wilkes&apos; forfeiture case was settled in December. The D.A.&apos;s Office was attempting to seize the vehicles and $18,172.73 in cash. In a handwritten letter filed in 3rd District Court, Wilkes argued that all of the money in his account was legitimate  from paychecks, income tax, an inheritance after his father&apos;s 2009 death and other legal sources of income. He then provided all proof he could find to show the funds were legitimate. "I have a 1-year-old I&apos;m half responsible for," he wrote. "I&apos;m penniless, jobless with no transpertation [sic] its [sic] been real hard." In the end, the D.A.&apos;s Office agreed that $14,000 of that sum were legitimate funds and ordered the funds returned to Wilkes. Authorities got to keep the truck, motorcycle and $4,172.73 in cash. But when it came to amounts less than $6,000 and other property, few defendants opted to put up a fight, court records show. They simply opted to surrender the funds. "The goal is for us to do the right and fair thing, but we&apos;ll do it on a case-by-case basis," Gill said.